Two days after staking claim with him to form the government amidst political turmoil in Tamil Nadu, AIADMK General Secretary V K Sasikala today sought an appointment with Governor Ch Vidyasagar Rao to parade MLAs supporting her before him. Sasikala said she believed that the Governor would "act immediately to save the sovereignty of the Constitution, democracy and the interest" of Tamil Nadu. 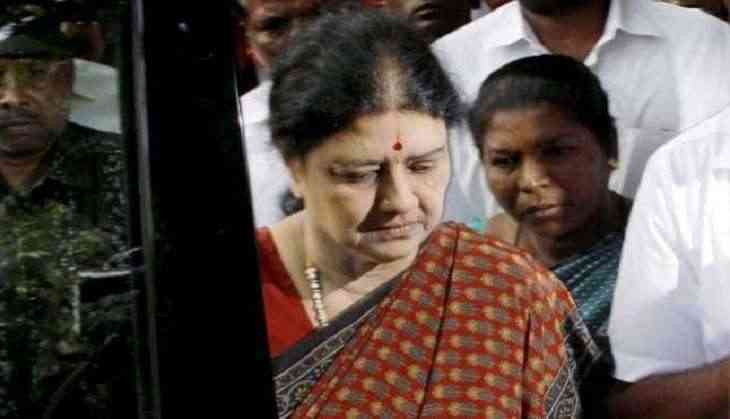 In a letter to the Governor, Sasikala recalled that she had met him on February 9 along with her senior ministers, consequent to her seeking an appointment with him to hand over the letter of party MLAs electing her as their leader. She told him she had then submitted an "elaborate presentation to invite me to form the government as I have absolute majority," besides the original letter and true copy of the resolution electing her as the AIADMK Legislature party leader. "Thus as it has been seven long days since Chief Minister O Panneerselvam submitted (his resignation) and Your Excellency accepted his resignation, taking the urgency of the situation at hand, I would like to seek an appointment with Your Excellency by today along with all MLAs who extended their support to me regarding further course of action to form the government," she said. "I believe Your Excellency will act immediately to save the sovereignty of the Constitution, democracy and the interest of the state," she added.